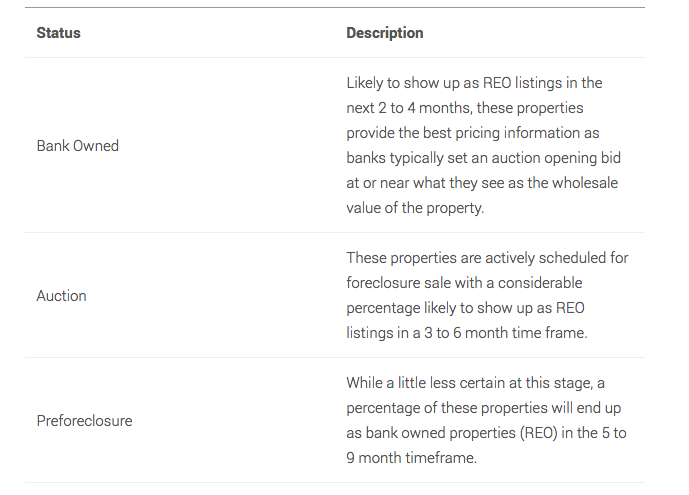 Foreclosure comps can give you a clear picture of potential REO listings for the next 6 to 9 months, and will help you get listings priced to sell, buyers off the fence, and your bank offers approved. Remove the Fear, Uncertainty and Doubt of home buying by incorporating Foreclosure Comps into your opportunities analysis. A Foreclosure Comp is a ist of foreclosure properties comparable to a subject property, similar to MLS based Comparable Market Analysis (CMA), typically showing comparable properties in terms of location, beds, baths, and other features. However, these properties are not typically listed in the MLS. Instead, the information comes from public records. Foreclosure Comps offer Realtors a glimpse of properties in foreclosure as well as properties recently taken back by the bank at auction. The foreclosure comp report allows you and your clients to see the discount that banks are taking in a particular area. An advanced glimpse of a market helps Realtors price aggressively, secure the best deals for buyers and sellers and get bank offers approved. Foreclosures are broken down into stages similar to the Active, Pending and Sold statuses in an MLS Comparable. 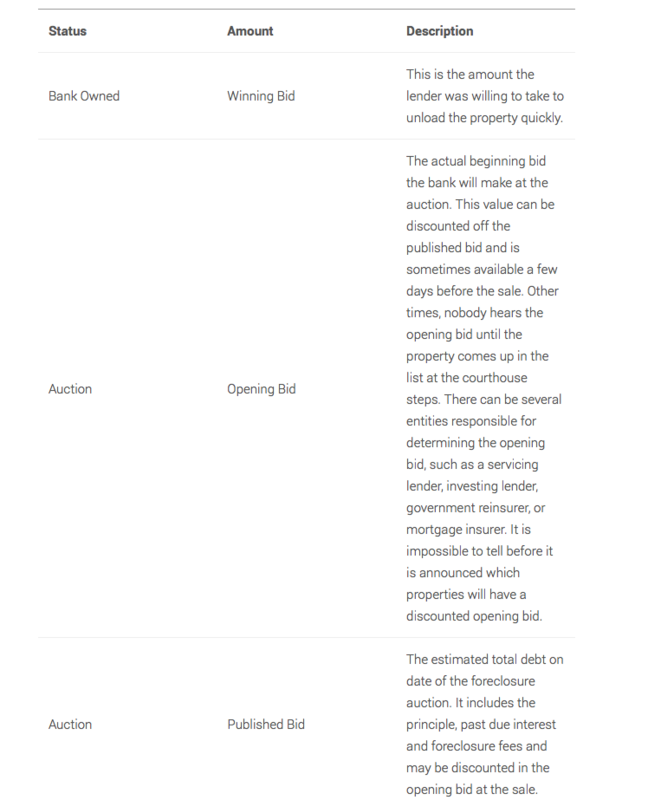 The status of the property indicates which bid type to look check out. The estimated and published bid amounts pertain to the loan in foreclosure and what is owed. The winning bid shows what was actually paid. None of these numbers reflects the possible list price of the property in a traditional sale.